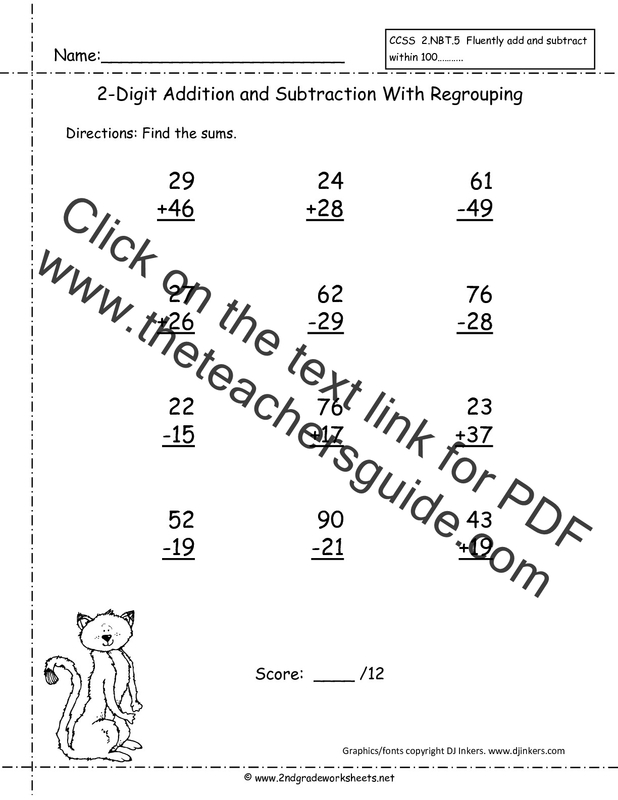 ﻿ CCSS 2.NBT.5 Worksheets. 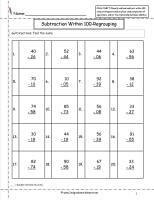 Two Digit Addition and Subtraction Within 100 Worksheets. 5. 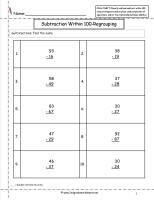 Fluently add and subtract within 100 using strategies based on place value, properties of operations, and/or the relationship between addition and subtraction. ** The CCSS does not focus on the regrouping algorithm for second grade, but your state/district might include it in your curriculum. 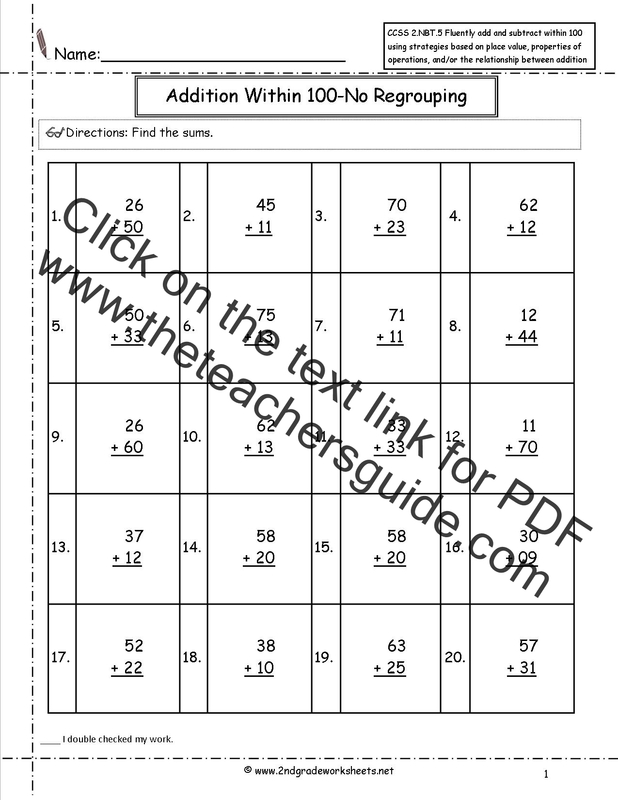 There are regrouping worksheets below. 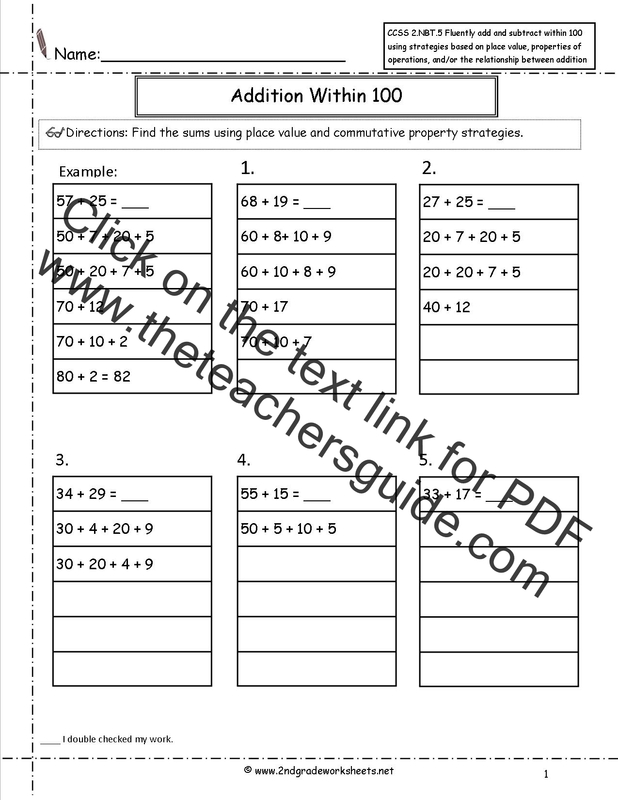 Students complete addition problems using place value and commutative. 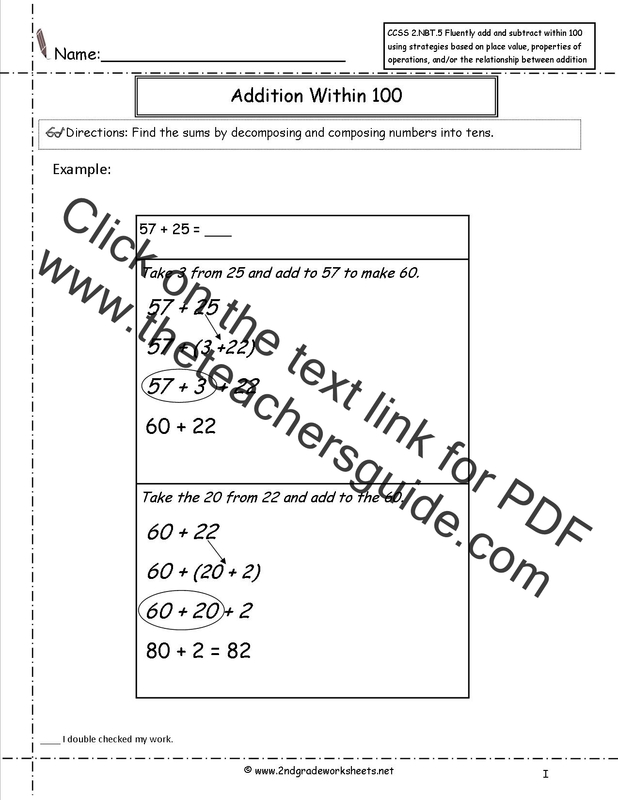 Students complete addition problems by composing tens. Students complete addition problems without regrouping. 10 problems. 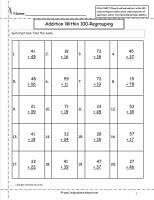 Students complete addition problems with regrouping. 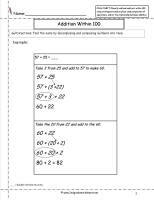 10 problems. 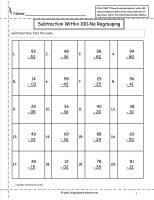 Students complete addition problems without regrouping. 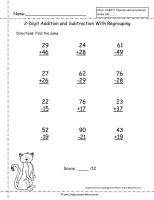 20 problems. 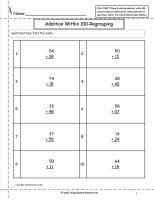 Students complete addition problems with regrouping. 20 problems..
Students complete subtraction problems without regrouping. 10 problems. Students complete subtraction problems with regrouping. 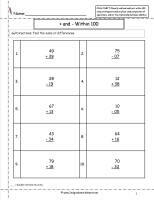 10 problems. 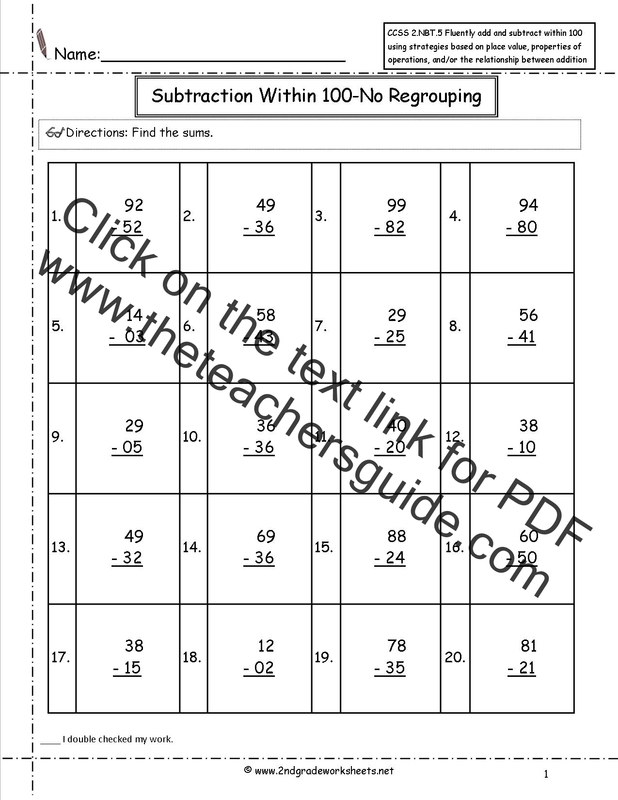 Students complete subtraction problems without regrouping. 20 problems. Students complete subtraction problems with regrouping. 20 problems. Students complete + and - problems with regrouping. 10 problems. 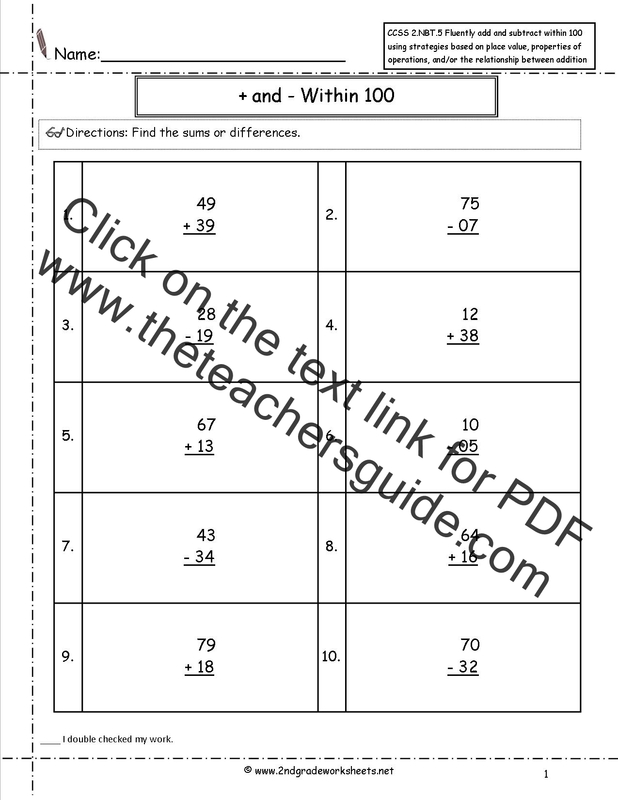 Students complete + and - problems with regrouping. 20 problems. Students complete + and - problems with regrouping. 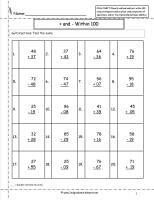 12 problems.